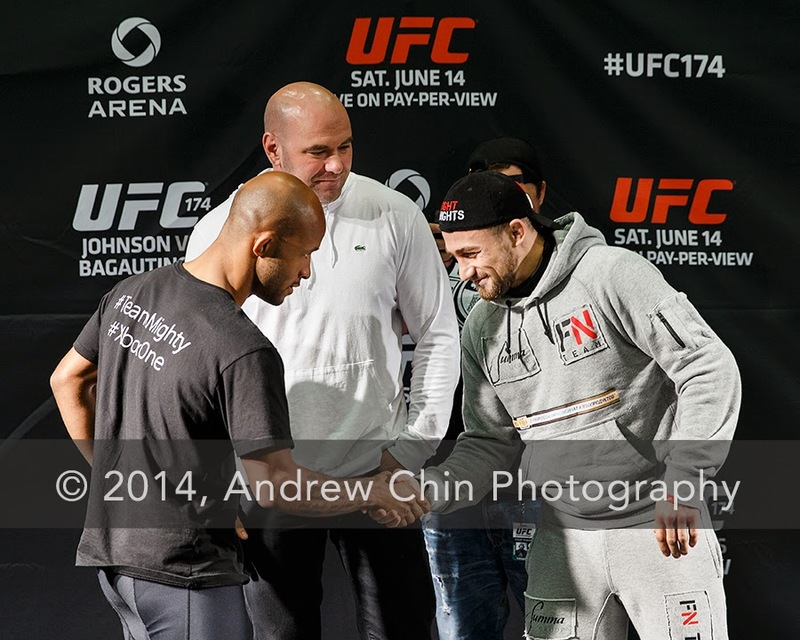 BURNABY, BC - JUNE 12: (L-R) UFC President Dana White, UFC Flyweight Champion Demetrious Johnson and No. 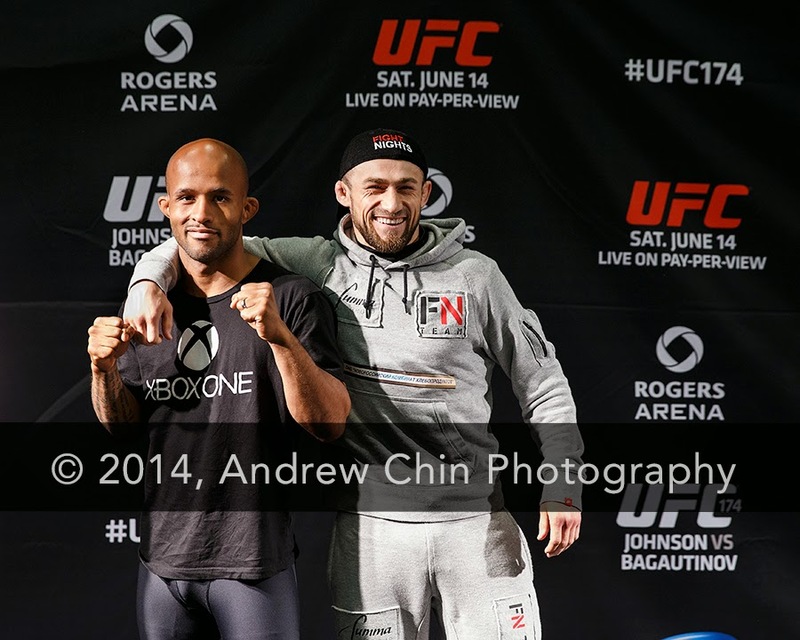 4 UFC Flyweight Contender Ali Bagautinov poses during the Fighter Square-Offs at UFC 174 Open Workouts & Ultimate Media Day held at EA Sports on June 12, 2014 in Burnaby, Canada. 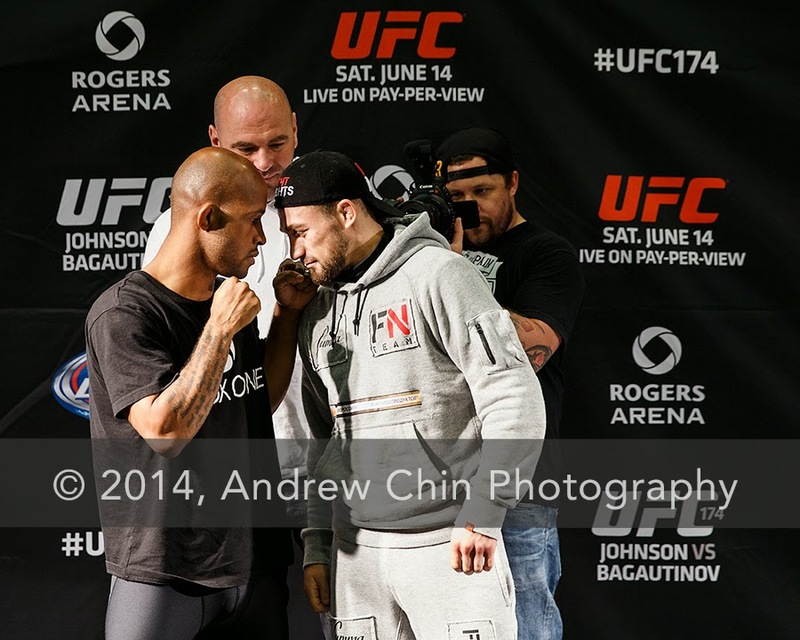 BURNABY, BC - JUNE 12: (L-R) UFC Flyweight Champion Demetrious Johnson and No. 4 UFC Flyweight Contender Ali Bagautinov poses during the Fighter Square-Offs at UFC 174 Open Workouts & Ultimate Media Day held at EA Sports on June 12, 2014 in Burnaby, Canada. BURNABY, BC - JUNE 12: (NOTE: This image was processed using digital filters.) 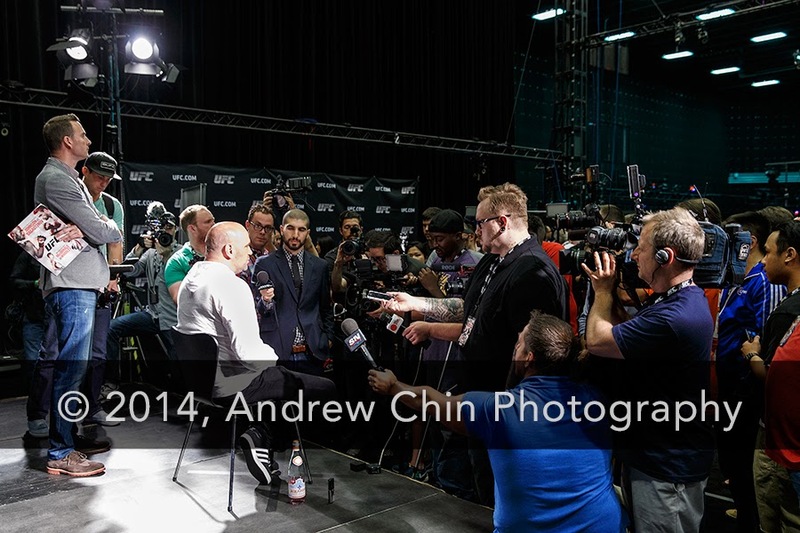 Media interviews UFC President Dana White during UFC 174 Open Workouts & Ultimate Media Day held at The Capture Lab at EA Sports on June 12, 2014 in Burnaby, Canada. 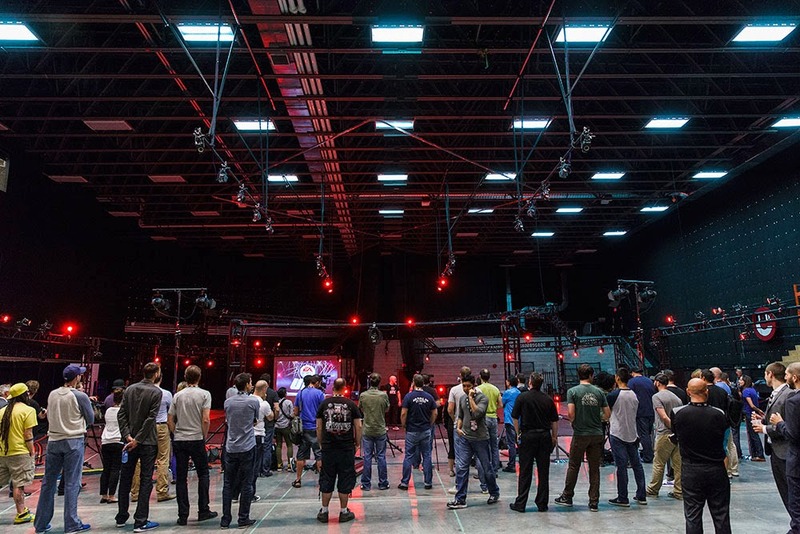 BURNABY, BC - JUNE 12: General atmosphere view of UFC 174 Open Workouts & Ultimate Media Day held at The Capture Lab at EA Sports on June 12, 2014 in Burnaby, Canada. 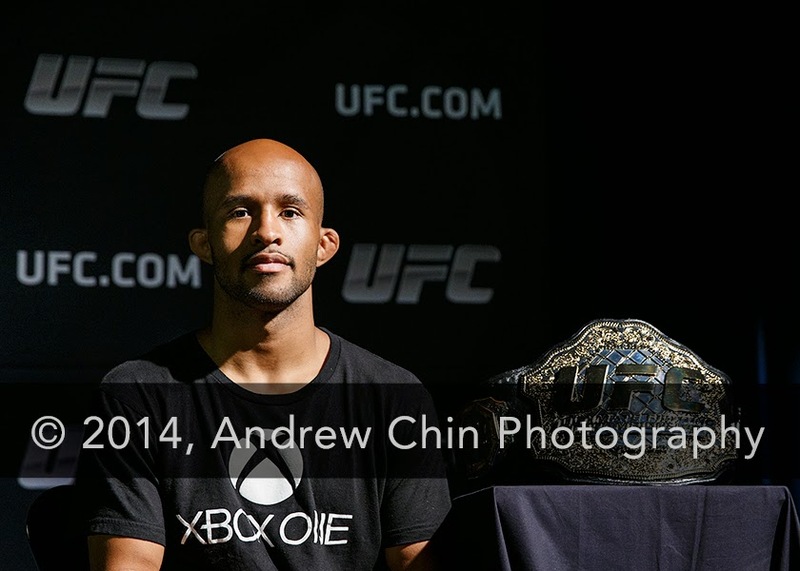 BURNABY, BC - JUNE 12: UFC Flyweight Champion Demetrious Johnson poses for a photograph during UFC® 174 Open Workouts & Ultimate Media Day held at The Capture Lab at EA Sports on June 12, 2014 in Burnaby, Canada. 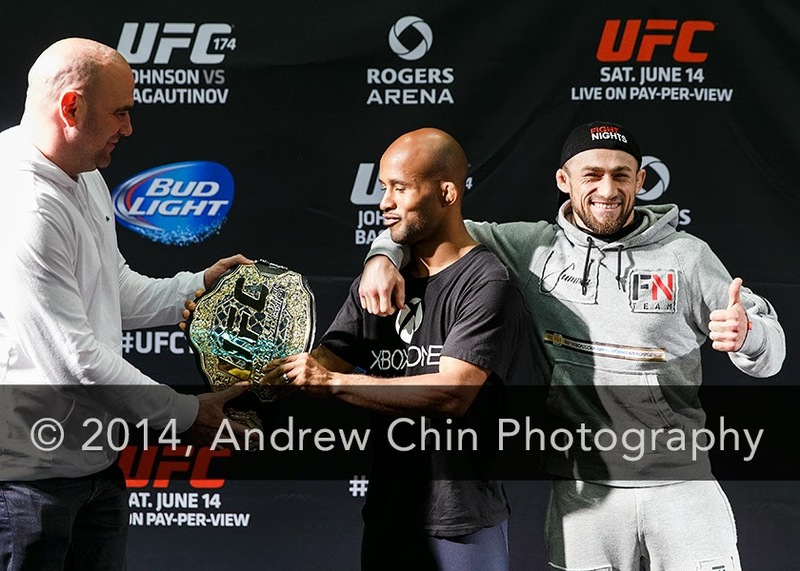 BURNABY, BC - JUNE 12: (L-R) UFC Flyweight Champion Demetrious Johnson, UFC President Dana White and No. 4 UFC Flyweight Contender Ali Bagautinov poses during the Fighter Square-Offs at UFC 174 Open Workouts & Ultimate Media Day held at EA Sports on June 12, 2014 in Burnaby, Canada. 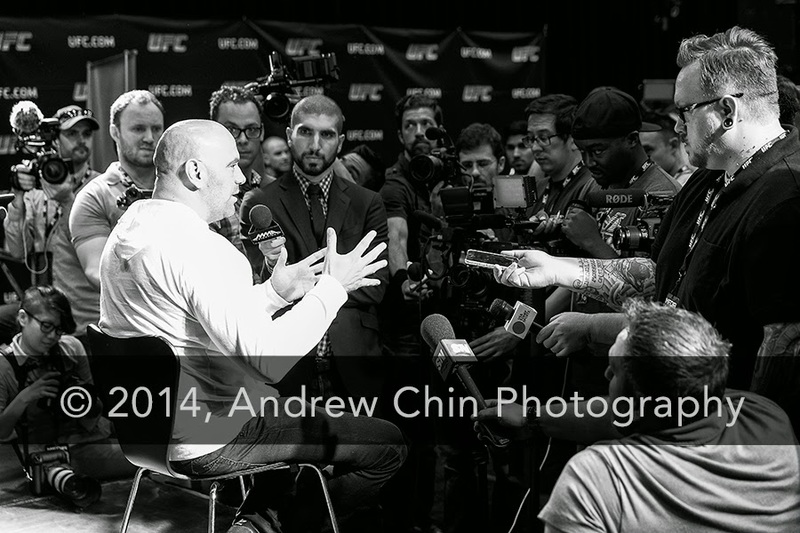 BURNABY, BC - JUNE 12: Media interviews UFC President Dana White during UFC 174 Open Workouts & Ultimate Media Day held at The Capture Lab at EA Sports on June 12, 2014 in Burnaby, Canada.